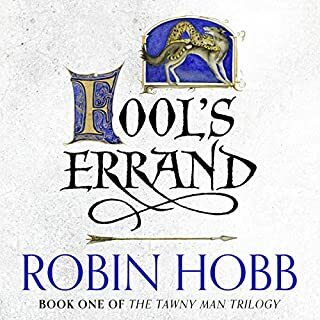 Robin Hobb returns to her best-loved characters with the second volume in a brand-new series. Years ago they freed a dragon from the glaciers on Aslevjal. Then they parted ways, the Fool returning to far-off Clerres while Fitz finally claimed a wife, a family, and a home of his own. Now, betrayed by his own people and broken by torment, the Fool has made his way back to the Six Duchies. 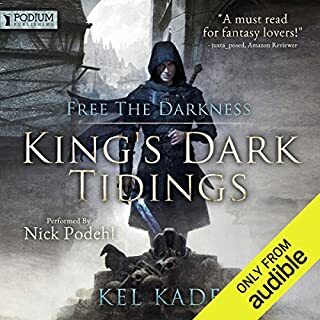 But as Fitz attempts to heal his old friend in Buckkeep Castle, his young daughter, Bee, is abducted from Withywoods by pale and mysterious raiders who leave ruin and confusion in their wake. Fitz must find a way to rescue his beloved Bee. At the same time it is the Fool's fiercest wish to return to Clerres with the best assassin he has ever known, to gain vengeance and justice. Can Fitz bear to take up the tools of his old trade again, even to avenge his dearest friend and save his child? And this book is ridiculously good. The narrator however was not great. The narrators should have to read the back catalogue so the understand the characters. I found myself constantly correctly his tone in my head and his voice for the fool was painful. And the rain Wilfred sounded German. But saying that I listening to it all and enjoyed it. I had read it twice and enjoyed listening to it, adds another perspective. 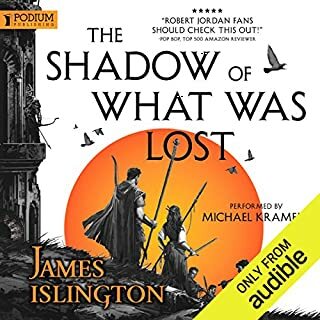 Story is good as usual but the book is unfortunately let down by this poor audio recoding. Lee Maxwell-Simpson is very one-dimensional and doesn't emote to suit the context or even the explicitly described emotions. The only voice he does well is spoiled English lordling which he applies to almost all characters. Most of his characters are inseparable, for example Chade and Kettricken have the same voice. Avita Jay does much better. Some of her reading is unfortunately let down by bad production, where the reading of the name of one of the characters is badly edited out and replaced. It must have been mispronounced initially and instead of re-reading those sentences they were poorly edited. Robin Hobb is stellar once again. 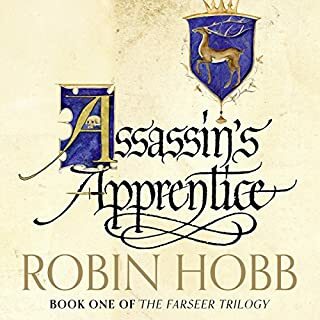 The story is a fantastic continuation of the story of FitzChivalry Farseer. 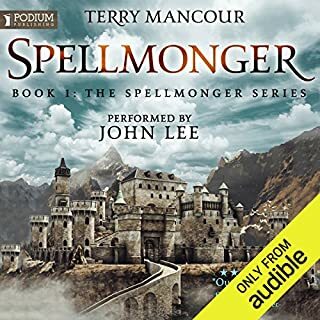 I really enjoyed having a male and female narrator, both of who did a wonderful job. I listened to 90 hours of Fitzchivalry Farseer bumble around being stupid, and very English. "Everything is terrible, I am guilt ridden and full of self loathing and I want everyone to know about it." I thought he might be awesome in the end or something, but he's not. The entire series is like slowly immersing yourself in despair. As always, Robin Hobb delivers a beautifully detailed story. I love, love, love her work. That said, the male narrator for this sub-trilogy is AWFUL. 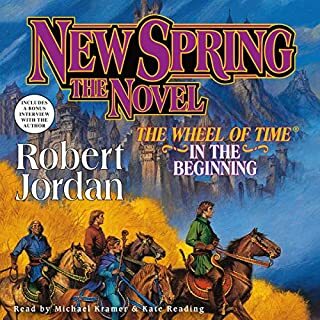 I wish that the entire series had been narrated by Avita Jay, or the male narrator from the previous trilogy. There are also moments in the book where a name sounds almost copy and pasted mid-sentence, which is pretty annoying when out of context: “Vindaliar”. It’s a shame, Avita Jay is a wonderful narrator. 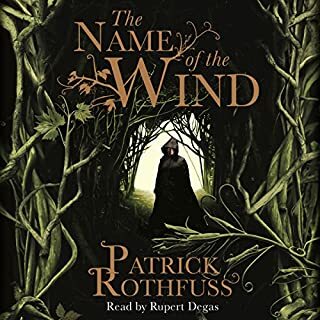 So for the first book in this series I wrote a review about how disappointed I was that the male narrator had been changed, this book only emphasised my disappointment. I wanted to reach through my car's Bluetooth and ring the Fool's neck. I couldn't decide if it was the way he was acting in the book or the way the narrator portrayed him. 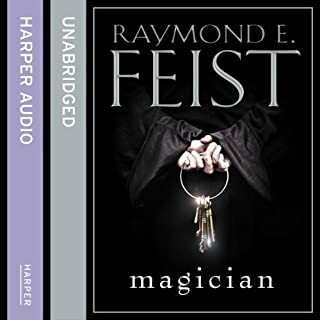 His voice was so whiny and pathetic I wished half way though the book that he would die just so I would never have to listen to that voice again... UGH (Pulling hair out). 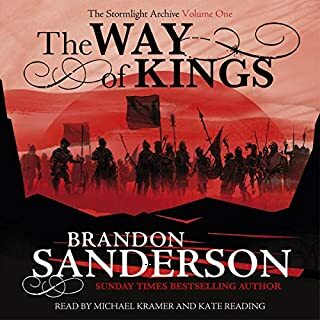 I finally decided that if I was actually reading the book, rather than passively listening to it the Fool wouldn't irritate me so much, every time I had to listen to the Fool's voice I imagined myself reading it instead and tried not to want to stab my car's stereo. I wonder if my car/phone will survive the next book in the series. 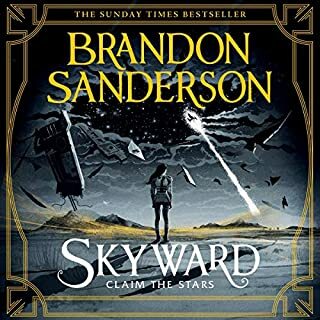 Definitely a better read than Book 1, carries the story along well, and sets up Book 3 well! 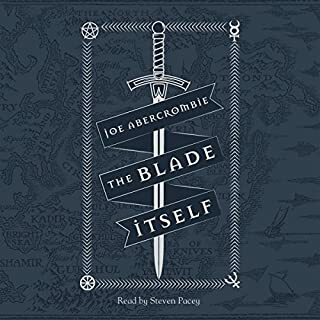 After listening to all three I'm still disappointed the male narrators changed again, but after going through it with the previous books I'm used to it! I enjoy listening in the car during my long weekly drives. 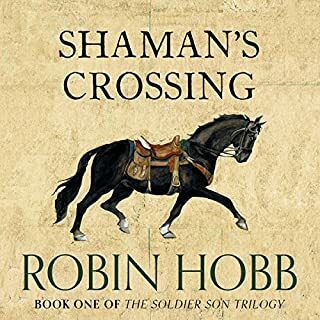 As such it passes the time and Robin Hobb is a superb author. 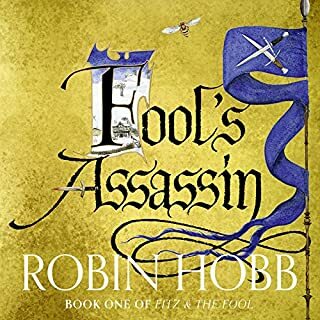 This book being the middle book in a triology spends a long time on Fitz at Buckkeep saving the Fool and coming to his rightful place in the world AFTER the reader knows that disaster has befallen his much loved daughter Bee. This leaves the reader worrying about what is happening to her. Fitz's realisation that Bee has been stolen from Withywoods. It is a moment of profound dismay. He has been preoccupied in saving the Fool, and during that time he has lost his much loved daughter. It is a moment of profound self-loathing and bereavement. the narrator (particularly Lee Maxwell-Simpson) seems to have no idea of timing, appropriate pauses (sentences and paragraphs) or voice inflextions. It is as if he has not read the passage previously and does not know when certain events are coming up. I would have thought such preparation would be essential for a narrator. The other narrator is better, and I enjoyed her accented reading of the pleasant faced woman and the other invaders. I did find the voice for Bee rather more childish than I would have imagined. She is very small for her age, but she is nonetheless a very intelligent girl. 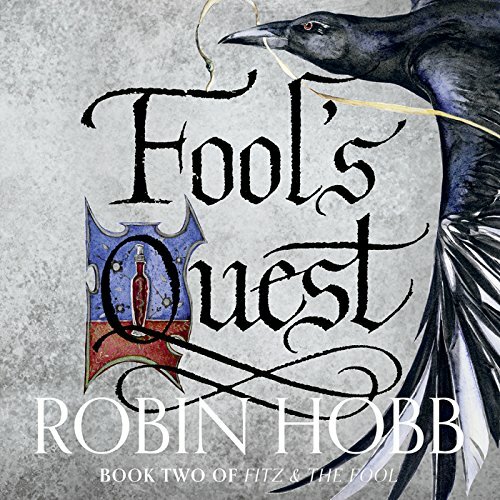 Was Fool's Quest worth the listening time? 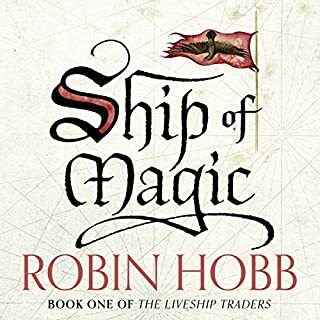 Once I got past the annoying narrator I was able to appreciate Robin Hobb's skill of story writing. 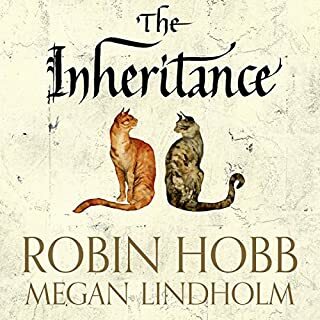 Greatly appreciate Robin Hobb sharing her gift yet again in this long awaited novel. Thoroughly enjoyed being immersed again in the adventures of Fitz and the Fool. The narration in this audio addition was perfect. I think someone got a name wrong on this and tried to fix the mistake by badly re-recording the word and editing it into the final piece. Its terribly done however and makes the book quite hard to listen to. An amazing story that takes the characters to new places new adventures and more sorrow. What a journey I’ve been on with Fitz and the Fool throughout these series. Robin Hobb is a true great. Solid performances by the narrators who manage to embody a number of characters very well. Good pace and enunciation. I can't wait for the final installment of this story. Bee should get her own sets of books now. I thoroughly enjoyed the dual naration in this story. my only issue is the really bad editing of the name Vindalier. it really jarred. The first book in this trilogy was painfully slow and dull, this, on the other hand, is everything but. Finally a story that ebbs and flows, making you fall back in love with Fitz. 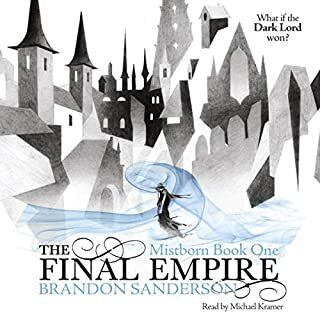 I started this one out of a sense of duty to the trilogy given its predecessors lack lustre performance, but I'm glad I did and look forward to the finale. This is Fitz as it should be.